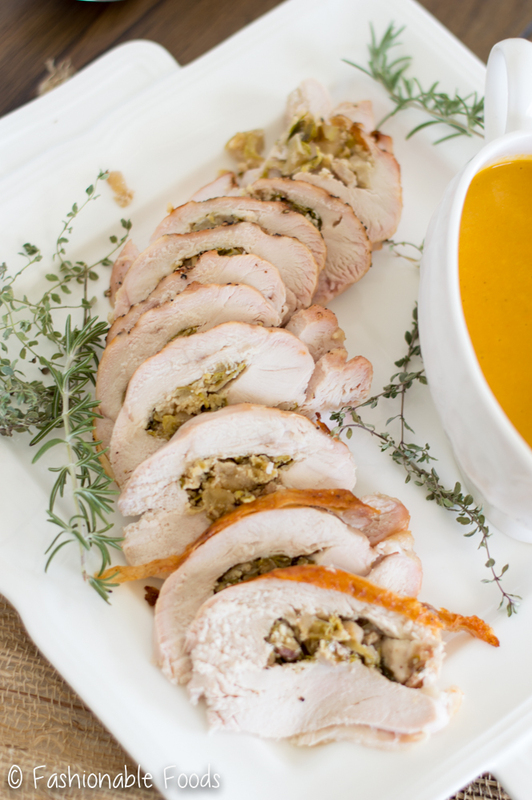 Apple, bacon, and brussel sprout stuffed turkey breast is an elegant way to celebrate Thanksgiving! 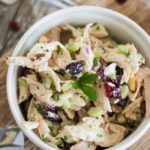 This recipe is gluten-free, dairy-free, Paleo, and Whole30! Hello friends! Are you having a good week? Ready for Thanksgiving? Happy the election is over? My answer is yes to all 3, incase you were wondering! I’m happy tomorrow is Friday and I’m really happy the election is over. Talk about a nail-biter of a night! I simply could not stop watching as the results came in. As for Thanksgiving, I’m finally entering holiday mode! I hadn’t really been feeling it since it was so warm outside and felt like summer for most of fall. Now that it has cooled down I’m getting more in the mood. Plus, I started Christmas shopping ?. I’m determined to be done early this year! 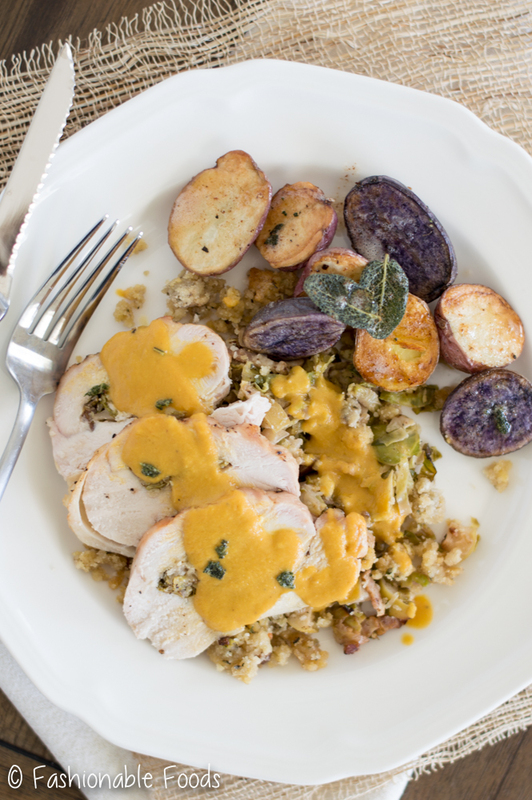 Do you have your menu planned yet for Thanksgiving? Do you typically make the same dishes or do you mix it up every year? I’ve mentioned before that I don’t host Thanksgiving, but I do always make the turkey and bring some sides. My aunt makes the staple dishes and I usually stick with a simple turkey, but I always mix it up with the sides I bring. 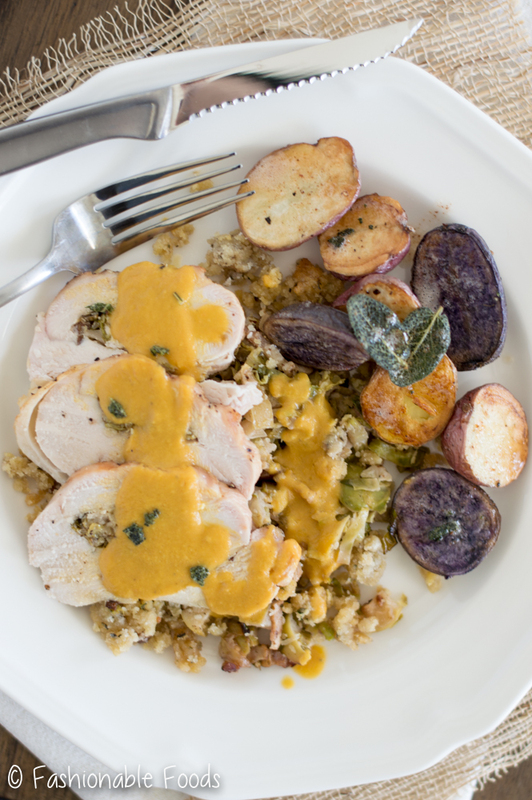 If you like to mix things up you’re going to love this stuffed turkey breast recipe! I think it’s perfect for when you want something different and it’s especially great if you’re serving a smaller crowd. Although you could easily make this for a larger crowd by making 2 or more! You’ll remember the stuffing from Monday’s post. 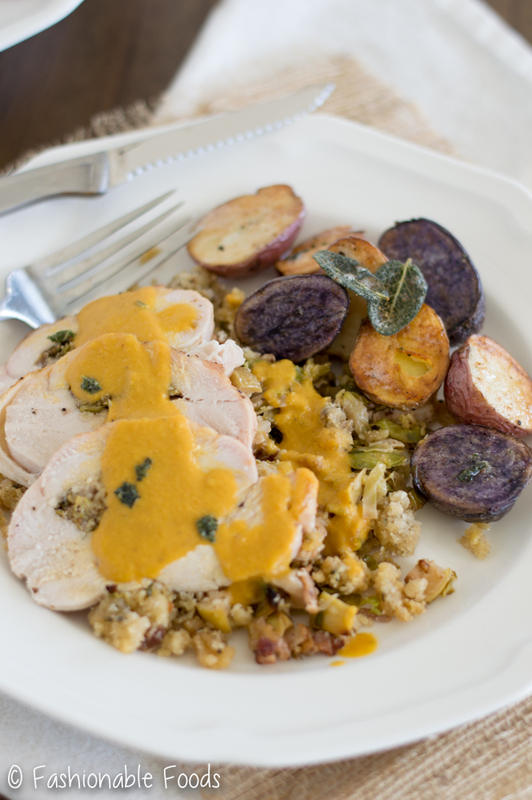 Basically, you make that stuffing and then stuff a portion of it into a butterflied turkey breast. Roll it up and roast. 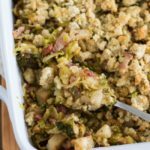 If you want to serve additional stuffing on the side, I’d recommend multiplying the recipe by a half and keep it separate. You can still make it all ahead, but then the one you plan on serving on the side you can bake just before serving. I hope that makes sense? The gravy couldn’t be any easier to make! 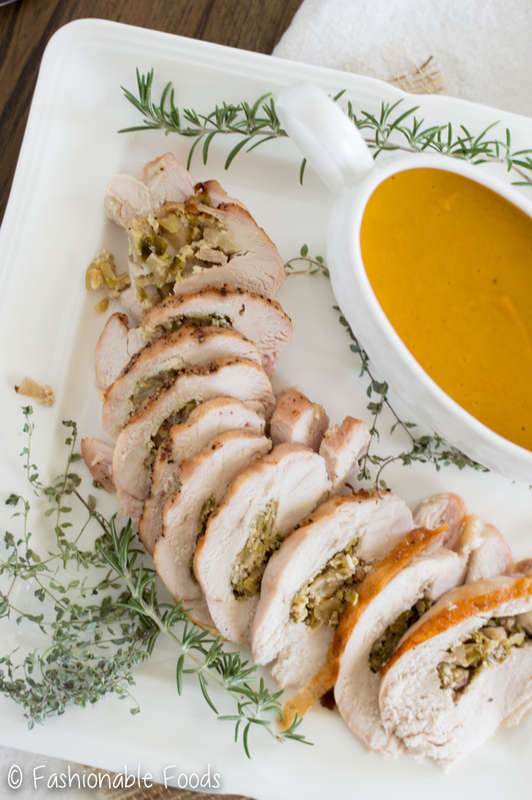 You’ll recognize this method from last years turkey recipe. It’s simply just vegetables blended up with broth and the drippings from the turkey. This version is slightly different from last years though! I added a little apple juice in with the broth to complement the apple that’s in the stuff. SO GOOD. That hint of sweetness is absolutely perfect with the savory flavors of gravy. Don’t be put off by the color of the gravy, either. The only reason it’s so orange is because I ran out of celery and had to double up on the carrots. I quite like that orange hue, though! If you’re eyeing up those potatoes on the plate, fear not! The recipe is coming next week. ? 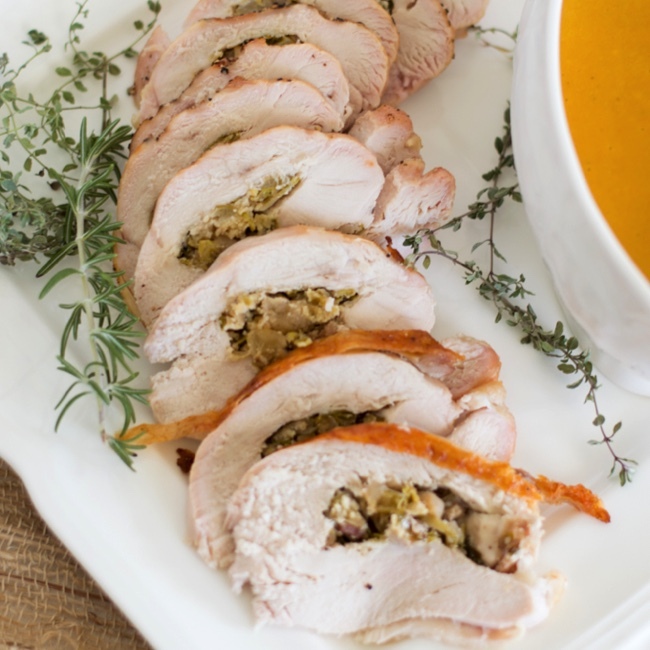 A stuffed turkey breast is one of my favorite ways to have turkey. You can generally please most people with it – the white meat lovers will be happy and so will those that want a stuffed turkey. Oh, and if you’re like me and want some dark meat, you could always make some turkey legs along with this. OR, if you’re serving a large crowd make one full turkey and one of these. That would be my ideal situation… then you have it all! Have a great weekend! I’ll see you back here on Monday ? 1 (8 lb.) 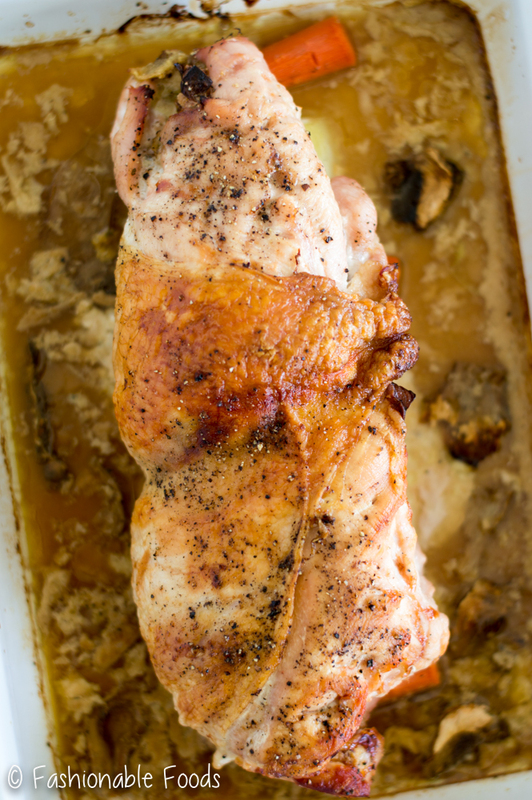 Turkey Breast, deboned, butterflied, and pounded to about an inch thickness – see recipe notes for more info and helpful tips! ½ Cup 100% Apple Juice, make sure there is no sugar added! Lay the pounded turkey breast out on a work surface. Spread the stuffing out evenly over the turkey, leaving about an inch border on all side. Fold the sides in slightly so that when you go to roll the turkey, the stuffing doesn’t fall apart. Gently roll up the turkey – if it holds together well you don’t have to tie it, but if it seems like it may fall apart, you’ll want to secure it with butcher’s twine. Place the turkey in a roasting pan with a rack and scatter the vegetables around the pan. Pour in the apple juice and broth and add in the herbs. 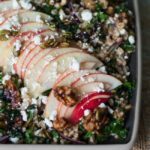 Alternatively you can line up your veggies in a baking dish and place the turkey on top if you don’t have a pan with a rack. Roast the turkey for 15 minutes at 500º, then lower the temperature to 375º and continue roasting for about 1 – 1 ½ hours. I like to start checking the turkey after 45 minutes just to be safe – you want to remove it at around 155º and let it rest to reach 165º while you make your gravy. Pour the broth, drippings, and all the vegetables into a blender (a high-speed blender is preferred) and blend until smooth. If you prefer thinner gravy, you can add more broth to thin it out. *There are plenty of helpful videos out there to help with this process, but to make things easier you can simply remove the breasts from bone – you’d have 2 turkey breast halves. Butterfly and pound each one, fill, and roll up. You’ll have 2 roulades, which will cut down the cooking time. If you have a local butcher, you can always have them do it for you!